Whether you've hit a fairway-splitting drive, a close approach to the pin or a miraculous recovery shot to set up a par save, 18Birdies' Classic Shot Tracking will let you save and share your very own personal highlight reel! 05 How to Use Shot Tracking from 18Birdies on Vimeo. Make sure that strokes gained scoring is OFF by checking the menu card below your score in the GPS overlay screen. After hitting your shot, press "Track Shot" from the GPS full screen or GPS overlay. A blue, starting position pushpin will appear on top of your blue, location dot by default. If the pushpin's position doesn't match your shot's position, simply drag the pushpin to the correct starting position of this shot. In the bottom right corner, you will see a blinking red dot, "Tracking X yds", and an orange "End Tracking" button. Start moving to your ball's ending location. Once you arrive at your ball's ending location, press the orange "End Tracking" button. 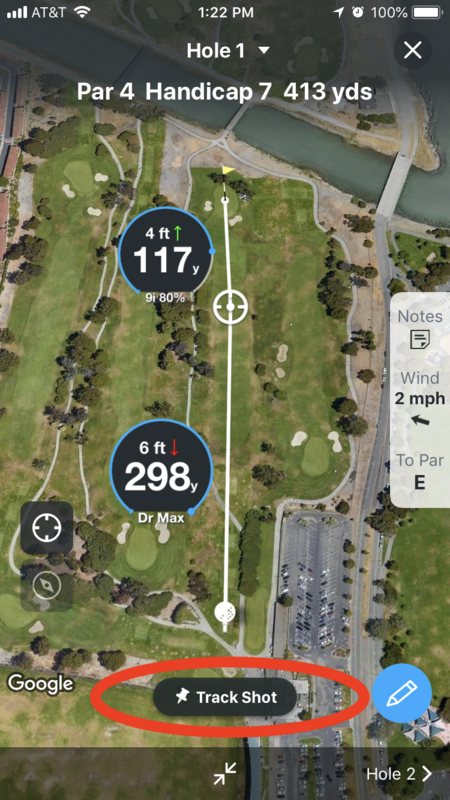 Tap "< Shot Details" and select the appropriate lie, club, shape, and height of your shot. When you're satisfied with your shot details, press "Done". The shot details on the right side of your screen will match your inputs. Press "Confirm" to save your shot.